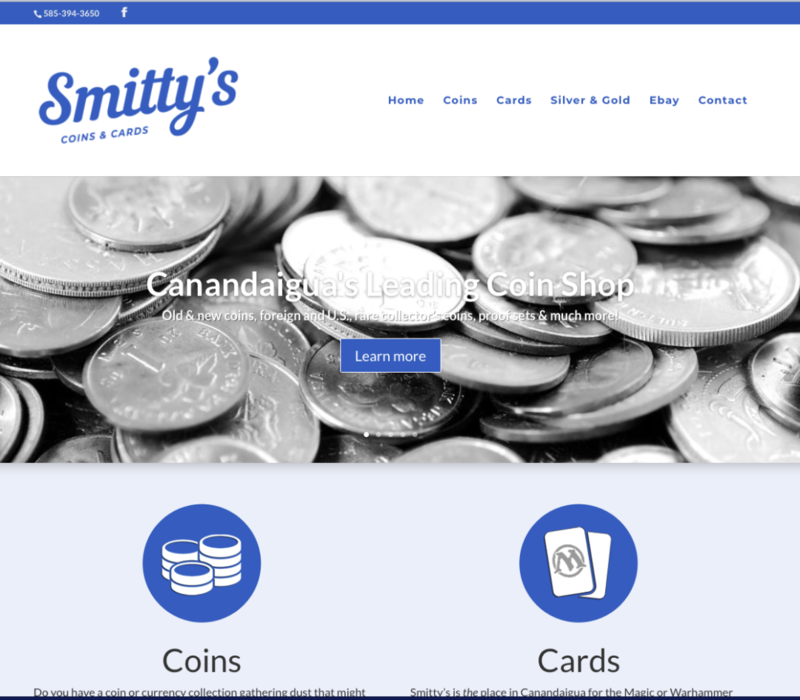 Smitty’s Coins and Cards wanted a new, fresh site that told their story. I worked with an amazing logo designer to create a new look for Smitty’s as a whole and incorporated that logo into a new website design. I used the Divi WordPress theme as I do with almost any project. A lot of research went into writing the content, both for the customer and for SEO. A slight name change was suggested (Smitty’s Coins & Cards instead of Smitty’s Cards & Coins) which they agreed with. They love the website and have a great site to showcase what they do for many years to come. Even better, they have new branding that adheres to their current signage that they can use across all platforms (i.e. Facebook, ads, website, print material, business cards, and future signage). For a very small investment, they’ve positioned their business for even greater success!